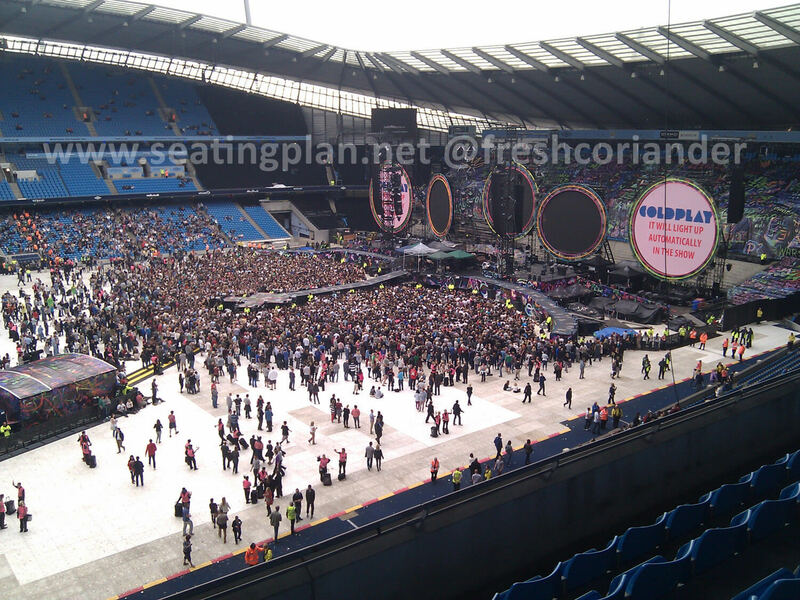 This is the view that you will get from Seat Block 207 at Etihad Stadium Manchester. It's just to give you an idea of what you can expect. Your view may be different depending on which seat you are sitting in. Coldplay were stunning. The view was great even though we were off centre. The gig was such a spectacle that it was nice to be able to see the whole of the stadium's wrist bands flashing in time to the music! If you have sat in Seat Block 207 at Etihad Stadium Manchester, why not click the stars to leave your rating to let other visitors know what to expect! 3 of our site visitors rated the view from Seat Block 207 at Etihad Stadium Manchester 3 out of 5. According to users of SeatingPlan.net, Seat Blocks at Etihad Stadium Manchester get an average rating of 3 out of 5 which means that Seat Block 207 is rated the same as the venue average.